ACKCITY : #KonstructApp: This Mobile Apps Allows You Search For Plumbers, Carpenters on Your Phone! The world is fast changing as digital mobile Apps are gradually becoming our companions and Personal Assistants of sort – helping out with our day to day ‘To do list’. Today, not too many people can withstand the rigors of searching for experienced and professional artisans, technicians, plumbers, Painters, Skilled labour among others for wide range of planned and impromptu projects lined up for them while they simultaneously attend to other engagements on daily basis hence the importance of KonstructApp as part of our daily lives. 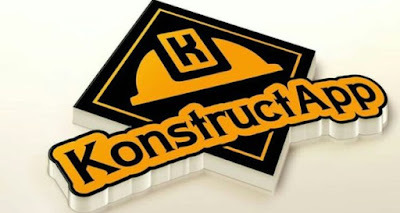 Konstruct Mobile App creates innovative solutions for your day to day planned and unplanned quick fixes and emergency construction services either by fixing damaged or outright maintenance of industrial appliances as well as other wide range of reconstruction services ranging from domestic to industrial plumbing, electrical, Painting, Woodworks etc. the App is ever ready to connect you to the best and verified experts who would in turn deliver excellent professional services using modern technologies. While it is also a powerful construction networking platform that connects you with service providers in the construction industry online on the go, it is also well secured and reliable. According to Taye Olajide Founder/Chief Operating Officer, Konstruct Mobile Application, “KonstructApp is a product of registered initiative called Konstruct Mobile Application in Nigeria founded alongside my two other Co-founders in 2017, which has an amazing customer support, should you need help our customer service team, they ever excited to help”. “The platform is equally cost effective and time-saving, whether you need an experienced Plumber, Electrician, Painters, skilled labour, or wish to connect with registered professionals in the industry, KonstructApp is built to deliver to you at a speed of light at affordable rate” said Taye Olajide. ‘Every request is as intuitive and simple as A, B, C – A: Request for a service; B: Connects and get job done; C: Make payments only when job is completed” . “We are also creating opportunity for insurance scheme for every service request to further provide clients with confidence of service delivery” he affirmed. KonstructApp will officially be launched this January 2019 with active offices in three major cities in Nigeria namely: Abuja, Port Harcourt and Lagos. 1. Access to registered Professionals in the industry such as engineers, architects, surveyors, and so on. 2. Access to verified Artisans who are actively registered with their respective trade associations as such as plumbers, electricians, carpenters etc. They would be working closely with the Federation of Nigerian Construction workers. 3. Access to verified Construction Equipment/Machines providers. You can be a part of an innovative digital solution by signing up at konstructapp.com or download the app at Google Play Store or Apple Store. It's a Love Something, Spend Less and Get More This Valentine! Special Valentine Offer- Check Them Out!